Unfortunately I go into Wal-Mart once a week because we always need an odd assortment of stuff. When I am in there I cannot manage to get out without cruising the Health and Beauty aisles. Surprisingly enough I almost always find something that I just have to have! This time was no exception but I did keep it cheap! So what items called my name during this trip? Salon Perfect Brow Trim & Shape Razors – Salon Perfect Brow Trim & Shape Razors are ideal for achieving perfectly shaped brows without the pain of tweezing and waxing. The unique design helps prevent cuts, nicks and irritation of delicate skin. These come in a pack of 3 and only cost $2.98. They work really well for keeping my brows shaped. I hate, hate, hate tweezing and these work just as well. They are also good for the pesky little moustache that creeps up on women as we age. e.l.f. Volumizing & Defining Mascara – e.l.f. believes you don’t have to spend a fortune to look amazing. Even on a tight budget, you can look like you have your own personal glam squad. Get affordable beauty products without sacrificing quality. Your lashes will seem supersized after the Volumizing and Defining Mascara works its magic. Gives you incredible lashes that are bigger and more well-defined than you could ever imagine. Your eyes will be impossible to ignore. This is my first e.l.f. mascara and I am curious to see how it works. At only $2 I would love for it to be amazing! I purchased this because I want to do a blog post on a makeup look using all e.l.f. products. I have everything else I just needed mascara. Stay tuned for that post. Ecotools Facial Mask Sponges – Made with natural plant pulp to remove facial masks and exfoliate for cleaner, softer-looking skin. Use with your favorite cleanser during your everyday routine to remove dirt, oil and makeup. Made with natural cellulose and latex-free. If you follow my blog at all you know I love to mask. So much so that I did #MaskaDayinMay. I am always up for tools that make that easier as I regularly mask 3 times a week. I hope these work well. The 3 pack sells for $3.97. Maybelline New York Color Sensational Creamy Matte Lipstick in Touch of Spice – Achieve statement-making color with our supremely sensational matte lipstick. Precious oils leave a sensuous finish. Available in a collection of eye-catching shades. Creamy matte finish + bold pigment color. Pure precious oils. OMG I love this lipstick so much!! It is the most amazing color ever!! The formula is creamy and looks good on the lips. This is currently my favorite lipstick. I was happy to get out without spending a fortune! The little razors are a wonderful item and gets lots of use. 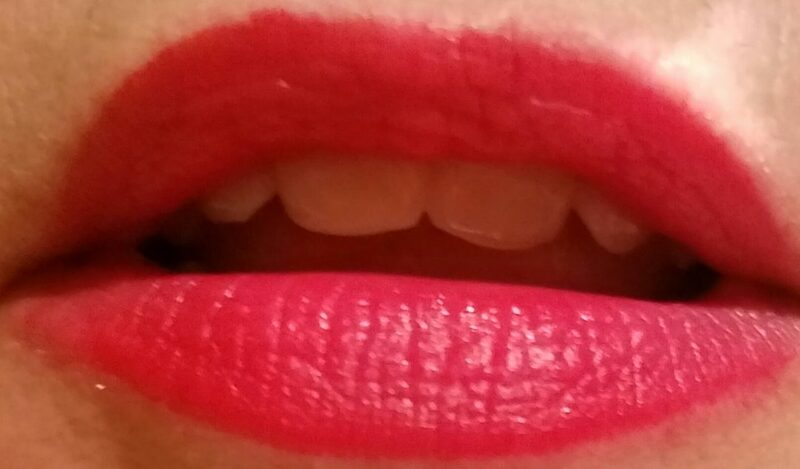 I am also loving the Maybelline lipstick. The shade is just perfect for me. The mask remover sponges were a disappointment. They are no better than a regular washcloth at removing masks. Actually, they are worse because they get all icky feeling and g=have to be thoroughly rinsed multiple times while removing the mask. I have yet to try the elf mascara. Do you buy beauty products ta Wal-Mart? Have you bought anything fun lately? What is your favorite place to shop for makeup and skincare related products? Thanks for stopping by my blog and taking the time to read my posts. I appreciate the support. If you enjoyed this post please “like” it. If you follow me then you will see all my new posts. Looking forward to the e.l.f. only look! I need to work on that soon. Motivation is hard to come by in the cold.